The Teal Terror is getting a new part: A WARN VR8000-s winch. This winch features the company's Spydura synthetic rope that reduces weight and doesn't store as much potential energy under load. It includes a polished-aluminum hawse fairlead. 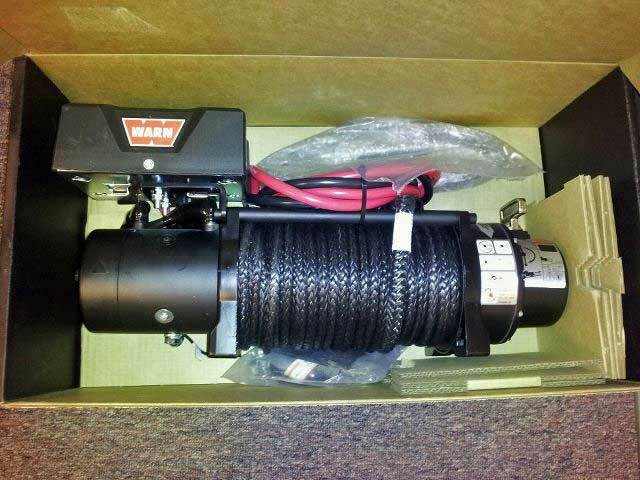 The WARN VR-series winches are part of the WARN Entry Level Series and are a great deal for an outstanding product. A winch is a great addition to an off-road vehicle simply because if you get stuck, you can get un-stuck.I'll be sure to post pics once I get it installed.